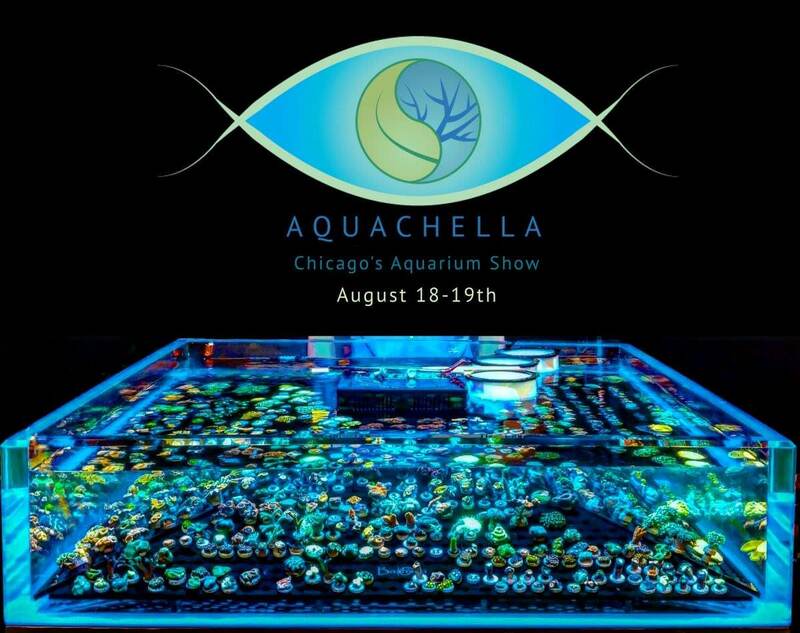 Aquashella showcases the underwater world of saltwater and freshwater aquariums in Chicago, IL on August 18-19th. You'll be greeted by the best aquarium vendors from across the country! Aquashella offers a unique experience by transforming a typical showroom floor into an alternate underwater universe. You will be surrounded by incredible visual displays of live aquatic animals in unison with art. The official lineup of over 80 vendors, and 10 artists featuring paints, sculptures and designs. ​​​​​​​Vendors from around the country come to sell coral (much of which are the amazing brightly colored corals that you see online). Here is the "Facebook Event Page" for the Event. 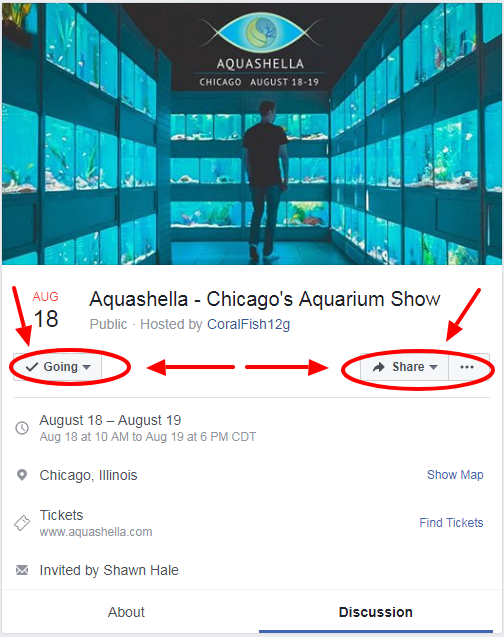 EVERYONE Please Remember to Mark "Going" or "Interested" on the Aquashella 2-Day Aquarium Expo & Frag Swap (Chicago, Illinois) Facebook Event Page. It will help us get a good idea of how many people we should expect to come to the Event so we can plan accordingly. Also, Please "Share" the Event on Your Facebook Page or any Reefing Facebook Groups that you are in as it will Help Get the Word Out about this Awesome Event. This Two Day Event is Going to Be Awesome !!!! 3. Doors Open at 10:00 AM and the Event Ends at 6:00 PM on Both Days. 4. Be Aware of How Much Time You Take Talking to a Vendor if what Your Discussing Doesn't Involve Buying Something. Vendors are Very Helpful and Knowledgeable and Most Will Try to Help You, but Please be Conscious of the Fact that Vendors are There to Sell and Not to Explain How to Rid Your Tank of Nuisance Algae (For Example). 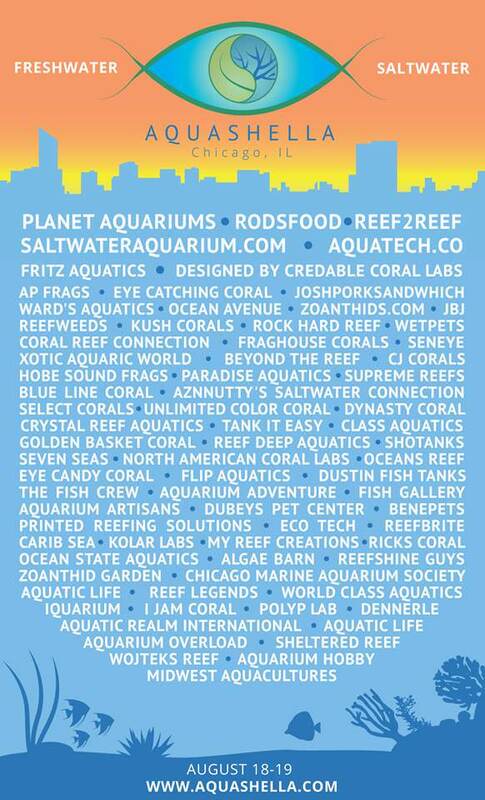 The Aquashella 2-Day Expo & Frag Swap (Chicago, Illinois) is just 8 Weeks Away !!!!!!! !